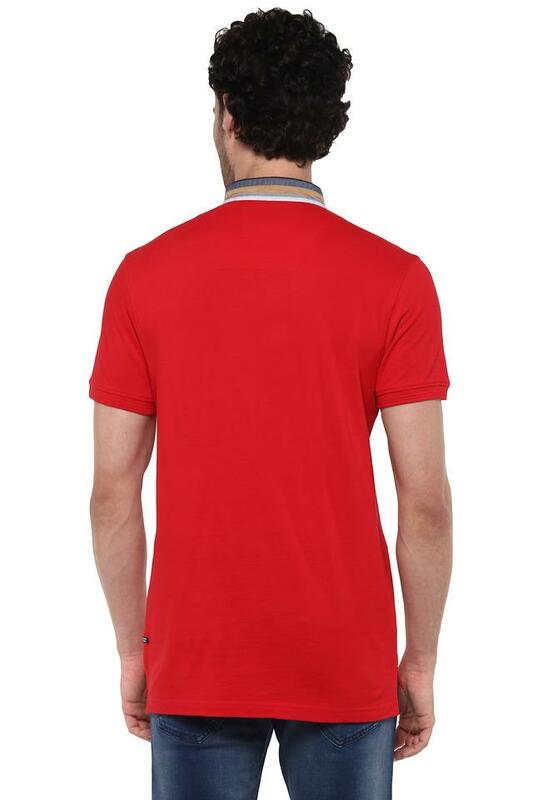 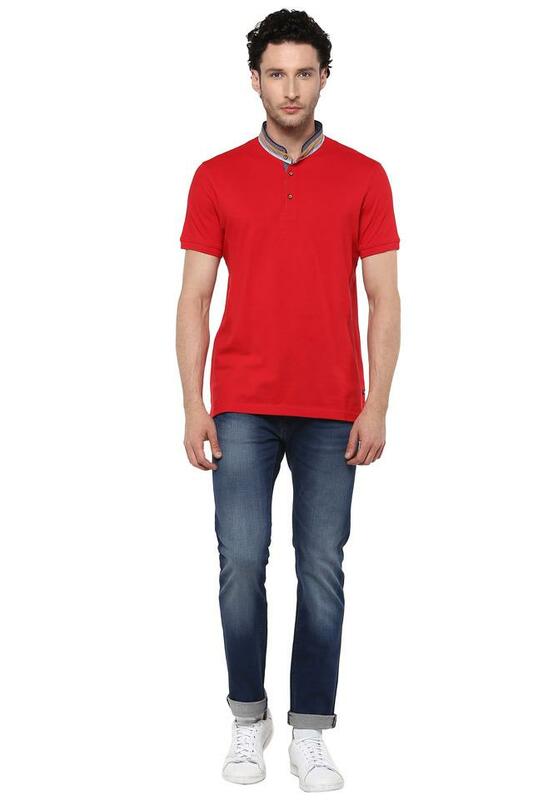 Channel smart looks in your casual wardrobe with this t-shirt from Numero Uno. 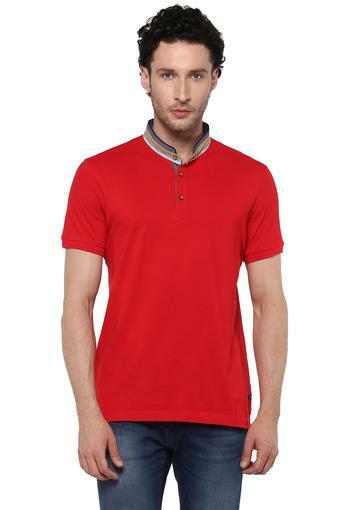 Hook up with comfort and roll with time as you adorn this t-shirt fashioned using good quality fabric. 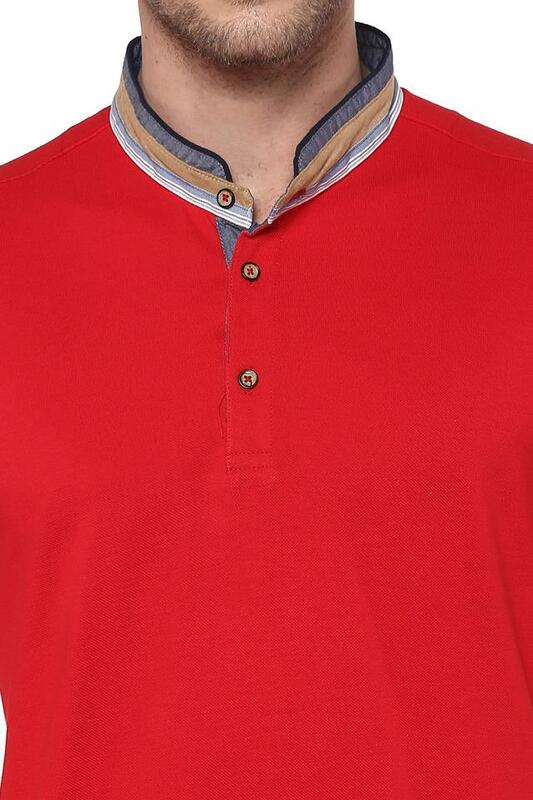 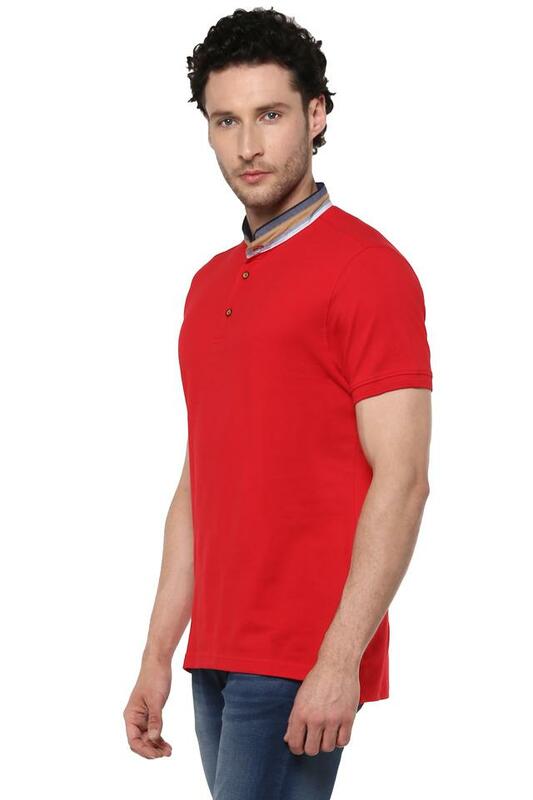 Besides, it features a mandarin collar, solid pattern and short sleeves which giving it a bold structure.